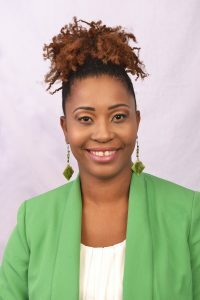 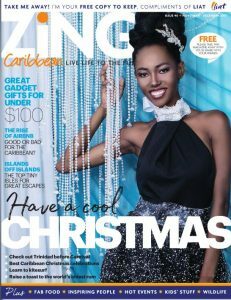 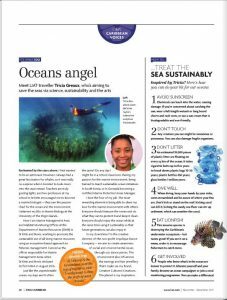 The November-December copy of the Zing Magazine – the in flight magazine for LIAT The Caribbean Airline is featuring Tricia Greaux, Marine Management Area and Habitat Monitoring Officer at the Department of Marine Resources. 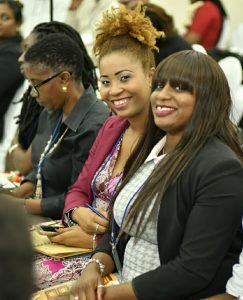 What is the most rewarding element of your job? 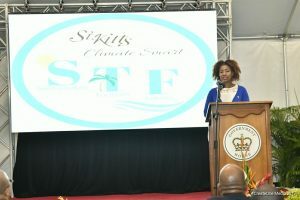 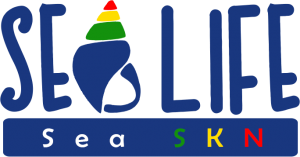 The ability to share my passion for the marine environment with others daily and to be able to serve as the officer with responsibility for MMAs when St.Kitts and Nevis declared the first MMA, the SKN MMA in August 2016. 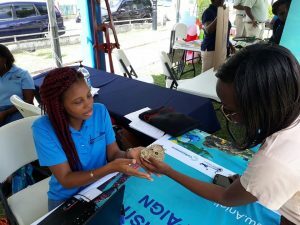 What do you do on a typical day – if there is such a thing? 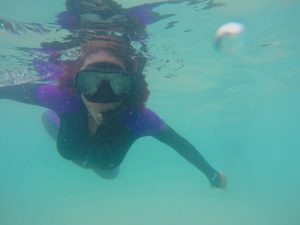 Just like the ocean with its unpredictability, my day is often the same. 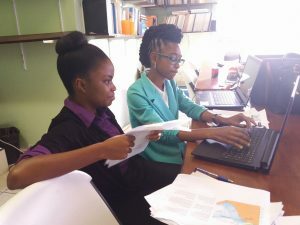 One day I might be in a high school classroom in St Kitts sharing my passion for the marine environment, the next in Korea being trained as a Sustainable Ocean Initiatives Trainer, or in Grenada becoming a certified Marine Protected Areas Manager. 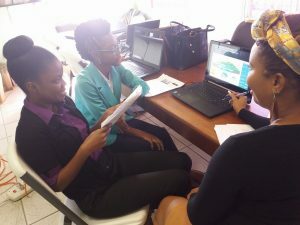 I absolutely love the flow of my job. 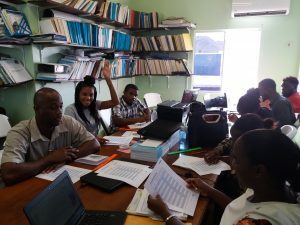 As the Creative Director of the Anjolique Dance Company, our dance pieces create awareness of social and environmental issues (www.anjoliquedance.com). 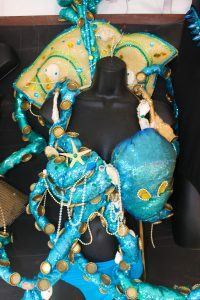 The environment inspires the earrings and hair jewelry that I create, Creative Cultured Creations. 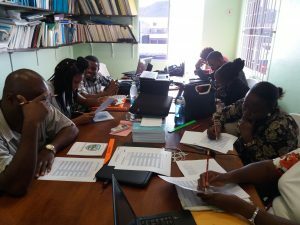 I serve at the Antioch Baptist Church and within my community through the Reach for Recovery SKB Breast Cancer Support Group. 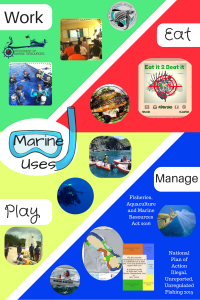 What is your current job title and what exactly does the Department of Marine Resources do? 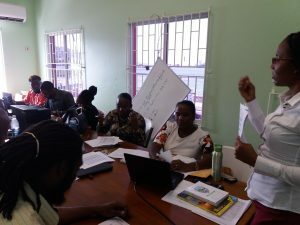 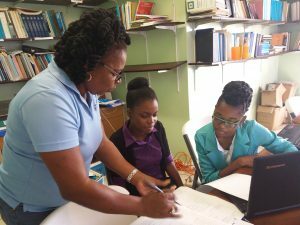 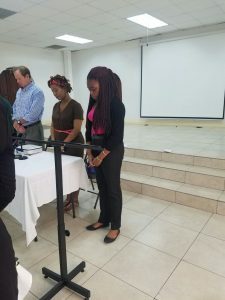 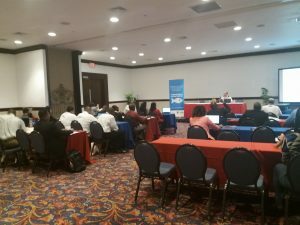 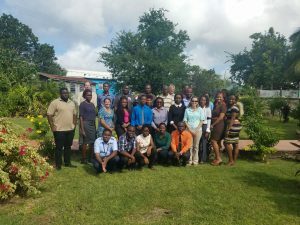 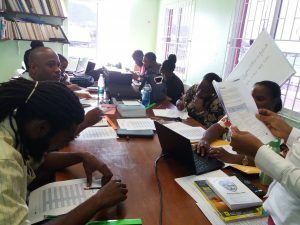 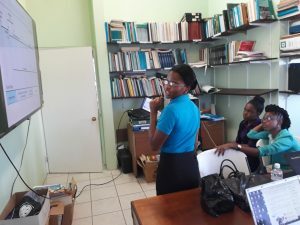 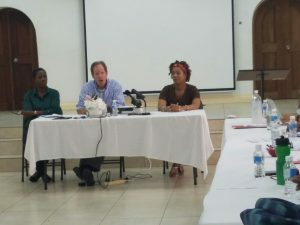 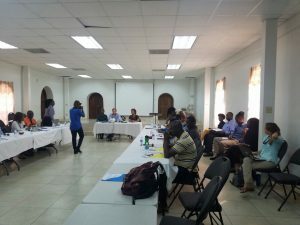 The St.Kitts and Nevis Conserving Biodiversity Project Coordinating Unit is hosting an orientation session for the newly recruited Beach and Marine Conservation Officers. 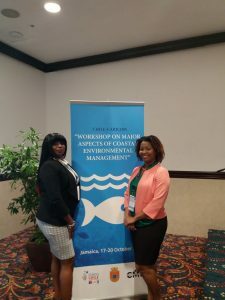 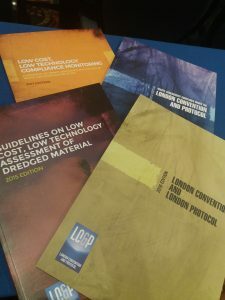 The purpose of these Conservation officers is to assist in the maintenance of the marine and coastal environment by encouraging users of these areas to comply with the National Conservation and Environment Protection Act 1989 and Fisheries, Aquaculture and Marine Resources Act 2016. 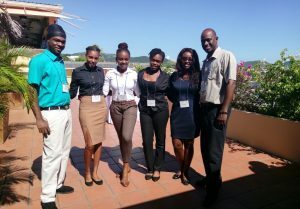 The protection of the Federations’s fragile eco-system is of paramount importance to these officers who are namely; Leonjo Daniel, Lockskey Edwards, Ashadi Duncan, Tasia Jones, Kaywana Hughes and Jevanito Huggins. 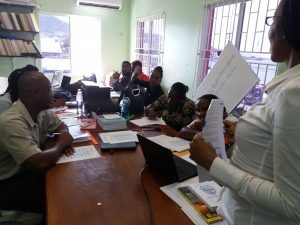 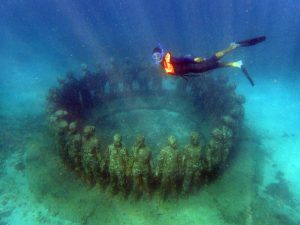 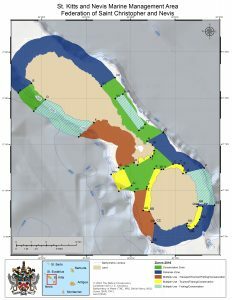 The orientation training includes; map reading, search and rescue, marine tour to all conservation zones within the St. Kitts and Nevis Marine Management Area, water quality monitoring, and heritage and culture. 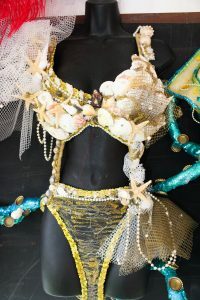 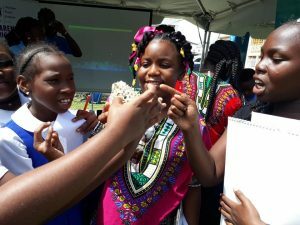 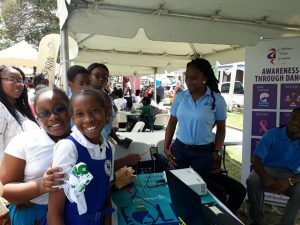 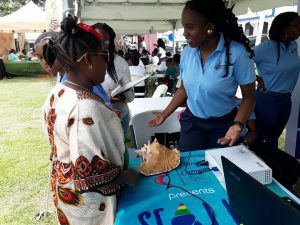 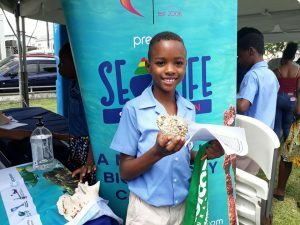 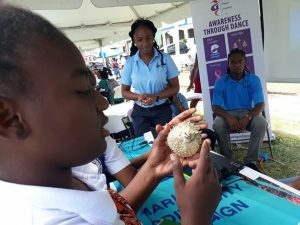 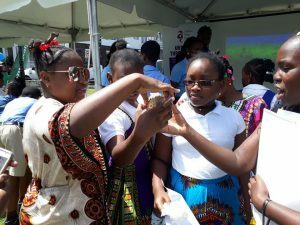 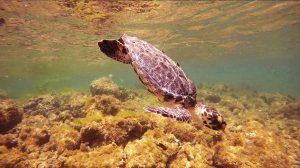 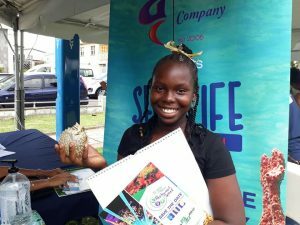 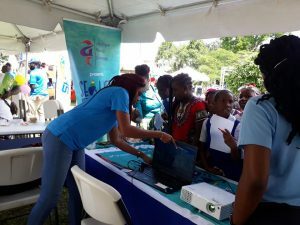 The Beach and Marine Conservation Officers will also be doing awareness and outreach at the Summer Turtle Camp organized by the St.Kitts Sea Turtle Monitoring Network.